The Jeffara Basin, located offshore central Tunisia, covers an area of about 20,000 km2. It is a hydrocarbon productive area situated between the two main productive basins of Tunisia: the Ghadames and the Pelagian Provinces. 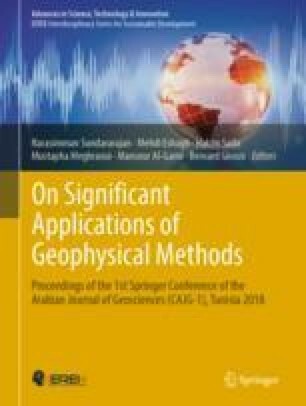 The present work aimed to reconstruct the main tectonic styles and phases by means of seismic, well logs and geological data, for better understanding their role in hydrocarbon trapping and exploration. The interpreted key seismic lines showed a lateral variation of structural style in the Jeffara basin. They depicted that after the major upper Triassic-early Jurassic rifting phase, the NE–SW extension process continue during the upper Jurassic and lower Cretaceous. This tectonic phase was dominated by NW–SE to E–W normal faults disclosing the early stage of the halokinetic activity. From the Santonian period, the Jeffara basin was influenced by regional wrench, with disconnected major E–W oriented right lateral strike slip faults. The reactivation of these deep faults caused numerous structural elements toward Jeffara basin. Indeed, the halokinetic activity in the southern part of the Jeffara basin discloses different salt structures: pillows, domes and salt walls, which affect the surrounding strata differently. The detected salt bodies at different stages of growth enabled the prediction of subtle facies controlled hydrocarbon traps.